The Deer Path School District was established formally in December 1940 but the first one-room schoolhouse in this vicinity was opened about three years earlier by local lumberman Sandy Deering. 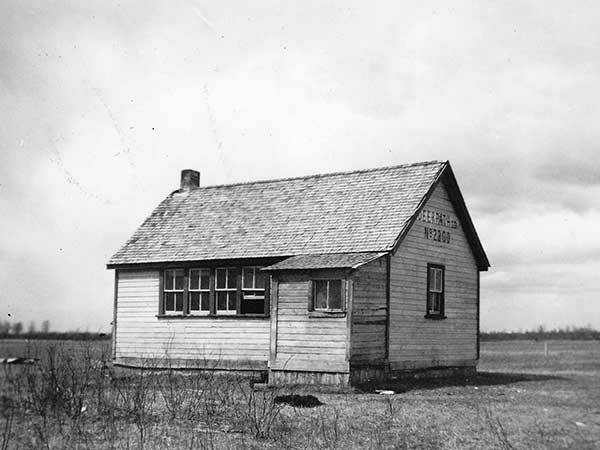 Named Deering School, the building was moved to SE35-36-24W (in the Rural Municipality of Minitonas) and renamed. It operated here until June 1967 when the school closed and the district was dissolved. Its area became part of the Swan Valley School Division. No vestige of the former school building remains at the site. Among the teachers of Deer Path School were Mrs. Veronica E. Bonham (1940) and Janet Hansen (1967). GR8461, A0233, C131-3, page 136.